3D Printing in the Bathroom? 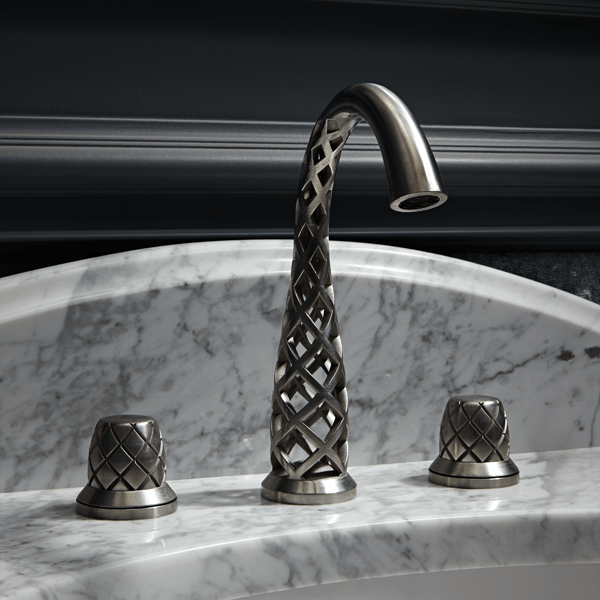 A Cool 3D Printed Faucet from @DXV! WHEN’S THE LAST TIME YOU WERE SURPRISED? ASTONISHED? BY A FAUCET? INTRODUCING DXV’S NEW COLLECTION OF NEVER BEFORE POSSIBLE DESIGNS. My personal favorite, the Vibrato bathroom faucet, is just a bit under $20k, so for the short term you’ll probably see these in your favorite trendy restaurant rather than a home. However, in the future the idea of designing your ideal faucet rather than spending a Saturday afternoon comparing the dozens of options at your local home improvement store is certainly a tantalizing prospect.